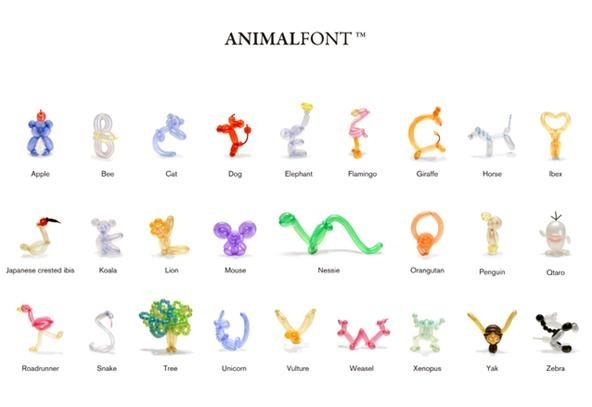 An app for iPod, iPhone and iPad, "Font Animals" is a balloon animal font that allows you to send customized messages from any of the aforementioned devices. Available on iTunes for $2.49: "With the SHAKE mode, you can shake ANIMAL FONT to create harmonious sound. 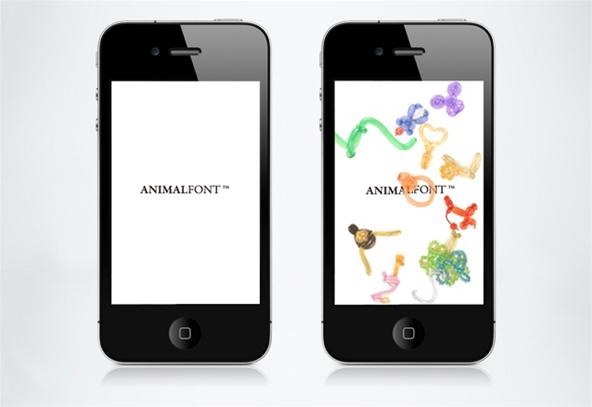 You can also drag, throw, and pop ANIMAL FONT with your finger..."
This is pretty cool! Thanks for sharing. Some of the animals are VERY easy to see, but some are not. I kinda wish I could take the best from this set and then add a few extras... Or maybe even have these be the CAPS and have the actual letters made out of balloons be the lower case... 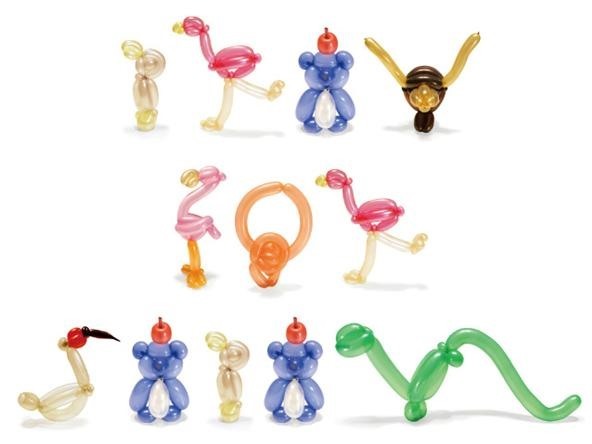 Either way, balloon animal font ROCKS! News: Monsieur Sigrid with balloons.